Now, kindly tell us your desired length for your new ID cane. 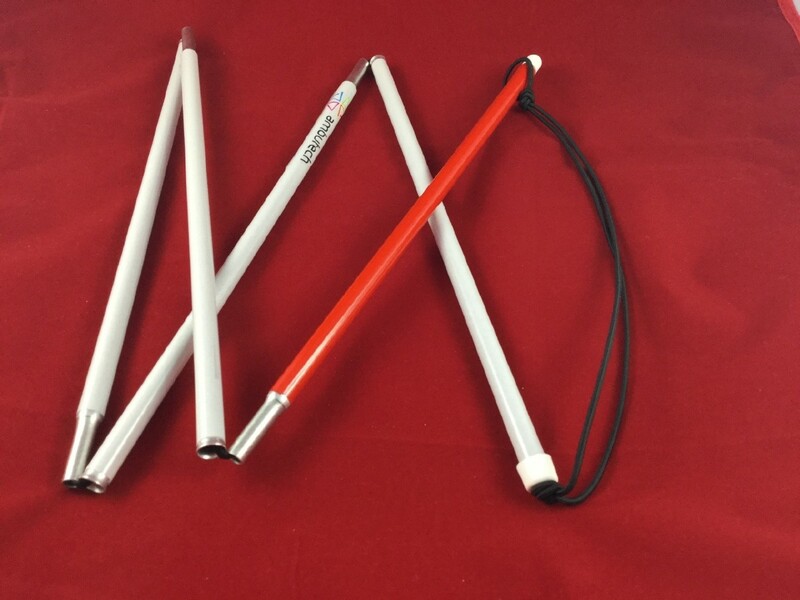 Uniquely-designed, lightweight cane for low-vision individuals. Helps facilitate easy identification of visually impaired people. 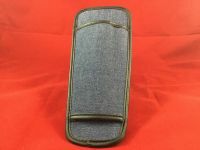 Light-weight, fits easily into a pocket or purse. Constructed from drawn aluminum tube with precision-engineered joints. Comes in 5 lengths (in 6" increments) ranging from 30" to 54". Package Weight: about 3.9 ounces. 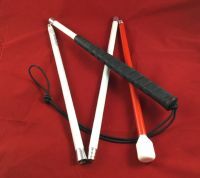 Here is a uniquely-designed, lightweight cane primarily intended for low-vision individuals who wish to be automatically recognized as visually impaired in awkward situations, but don't require full mobility assistance. 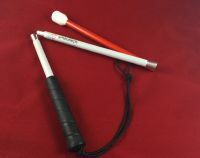 This cane weighs only about a third as much as a regular mobility cane of equal length, and fits easily into a pocket or purse. It's constructed from a drawn aluminum tube with precision-engineered joints, and still folds and unfolds quickly and easily. 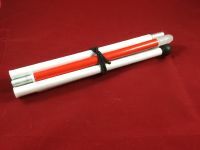 We offer our identification canes in five different lengths (in six-inch increments), ranging from thirty to fifty-four inches long. There's no set formula to help you determine what length of ID cane you should carry, but the most common would be somewhere in the middle. Again, though, it does depend on the individual's height and personal preference. But keep in mind that, since this cane won't be your primary mobility tool, you really won't want it to be anywhere near as long as your full-blown white cane. One final note: the 30-inch size comes in three sections; all other lengths have five sections.